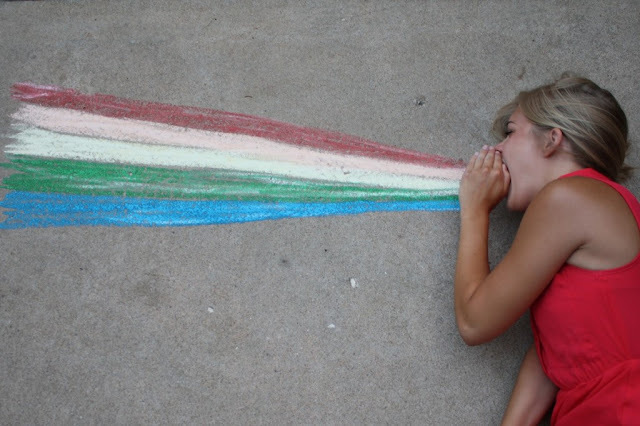 Betsy has been having fun with driveway photography and shared some of her fun sidewalk chalk ideas. 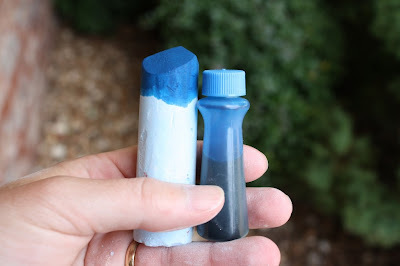 Even if it is too hot to lay down and take pictures on the sidewalk right now (or too rainy in my case) you will want to check out the fun images and see her tip on brightening up sidewalk chalk that will come in handy anytime you are making a sidewalk chalk creation. I personally think side walk chalk is a great way to wish your friends happy birthday in the middle of the night. Like a nice version of being tee peed as an adult! You can check out more of her fun driveway photography ideas over at The View From In Here. One year for our anniversary, Dave (decidedly the LEAST artistic person I know) wrote me a little love note on the driveway before he left for work. It was the best present ever.